Marion is a lovely city in Iowa. It is filled with biking trails, hiking trails, nature and wildlife areas. Whether you are out enjoying the Marion Heritage Center or checking out the Granger House Museum, a toothache is trouble. That pain is a sure sign that a problem exists and it is vital that you go and have it checked out. Marion has many options when it comes to general dentists and specials available for you. 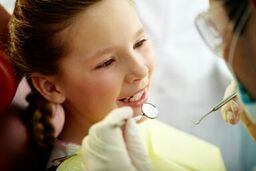 A list of local dentists and specialists in the Marion area has been put together for you by emergencydentistsusa.com. The list includes both general dentists and dental specialists such as orthodontists, oral surgeons, and more. Go over the list we have provided, select the dentist you wish to visit, and give them a call. If you are short on time or just want to talk to us, call our toll-free dentist finder hotline today. When you make a call to our hotline you are immediately connected to a well trained associate. They are there to help you through the process of locating a dentist near your area. They can even set up your first appointment for you once you choose the dentist of your liking. When you head to your appointment bring your ID, insurance card, and payment along with you and arrive 15 minutes early. That time allows you to fill out any paperwork that might be required. Marion has many dental options available to you. You can go over the list and choose from any of the dental subspecialities you need. If you have a toothache, generally, you are going to want to first consult with a general dentist. They can treat most issues and if they can not they can refer you onto a specialist who can. Description: Marion Dental’s staff strives to provide the highest quality dental care possible. They work to do that in the most compassionate and pain free manner possible. They offer a wide array of services such as dental implants, dentures, cosmetic dentistry, and more. They accept all standard forms of payment and they offer financing through CareCredit. Ed Dye Family Dentistry P.C. Description: Ed Dye Family Dentistry P.C. is committed to providing you with optimal dental services. They offer everything from cosmetic dentistry, periodontics, endodontics, and general dental care. The office works with all dental insurances and they offer financing through third party financing. Description: Uptown Dental is there to provide you with high quality care with open communication and trust. They offer everything from preventative, general, and cosmetic treatment options. The friendly staff is there to assist you with your needs and they offer several financing options for your convenience. Tooth pain that last over an hour needs to be checked out by a dentist. This could be an indication of a serious problem that if treated quickly can prevent further complications. If the pain is due to an accident, seek medical attention at the nearest ER to look for other injuries. Before you go to a new dentist’s office, do your research and check out their licenses to be sure they are current. This is easily done by visiting the Iowa Dental Association website and typing in the dentist’s name.